Kissy managed to get a hold on the last Nintendo Wii in Amsterdam Airport yesterday! I guess you know what we have been upto tonight; hehe, indeed…GAMING!! 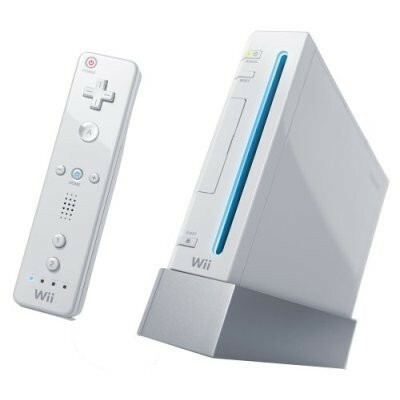 The two games included contain a variety of minigames; ‘Wii Sports’ has tennis, baseball, bowling, golf and boxing (extremely fun to play against eachother). ‘Rayman Raving Rabbids’, a bit a childish game but with ROTFLMAO humor, even consists of 74 (!!) different minigames…all in all shitload of entertainment, and even physically challenging, grrroovy!